Sea Salt cool smoked over Apple and Mesquite wood fire. 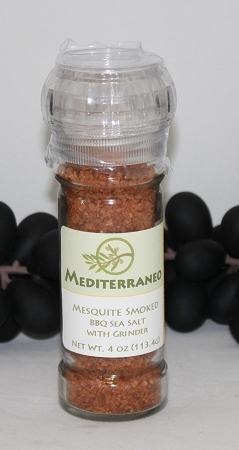 Create a distinct, sweet, smoked flavor that will enhance any gourmet dish when used as a dry rub or as a finishing salt. Packed in a convenient refillable grinder.